To end the school year, I wanted to do something fun to help keep my students motivated and engaged during the last few weeks. 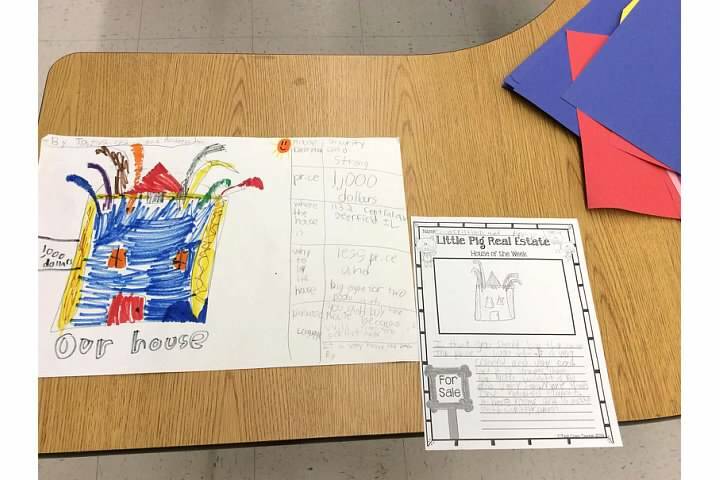 From Twitter, I saw that @missmac100 had done a project based on the 3 Little Pigs and Big Bad Wolf with her second graders. This project included a real-life application and incorporated different subject areas. I read her blog posts about the project and started a discussion with her as I began planning. I met with the Instructional Coach to figure out how to tackle this task. 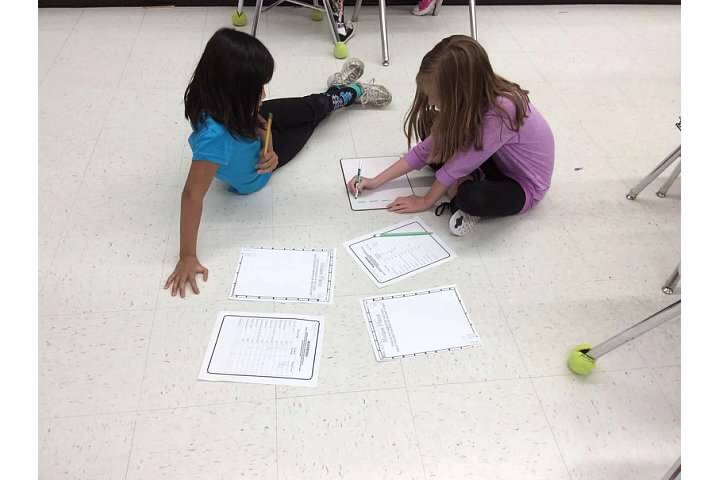 We looked at the standards I needed to include to end the year and how the different aspects of the project met the standards. I also researched on Pinterest, and found other versions of the project. I took all these ideas and modified them to best fit the needs of my students and the time frame we had. First, I read different versions of the 3 Little Pigs to my students. They looked forward to the books! After each story, we created a story map about what happened, and they began noticing the differences in characters, building materials, and endings. We also were able to discuss whose point of view the story was written from. After reading multiple stories, students compared and contrasted two versions and also wrote their own story! I also introduced the topic of architecture to the students. We brainstormed questions to research that would help us build a strong house. We also discussed, researched, and modeled different architectural structures, such as columns, domes, bridges, and arches. 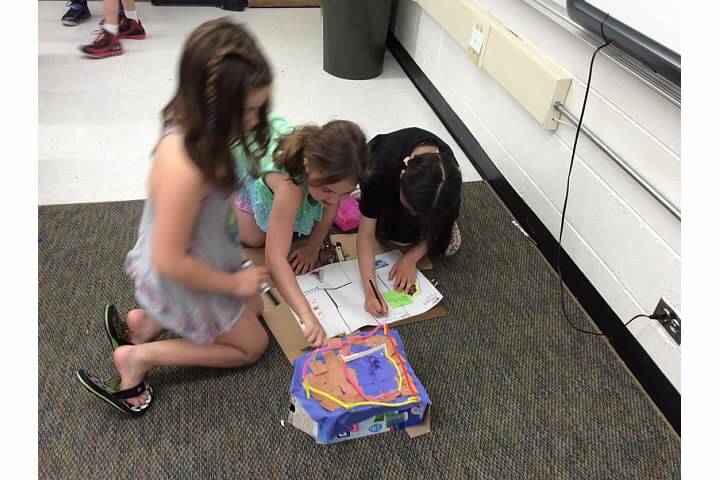 After, students formed groups and started brainstorming and creating a blueprint of their house design. They were not happy when I told them their budget was $600 after they saw the price of the materials!! 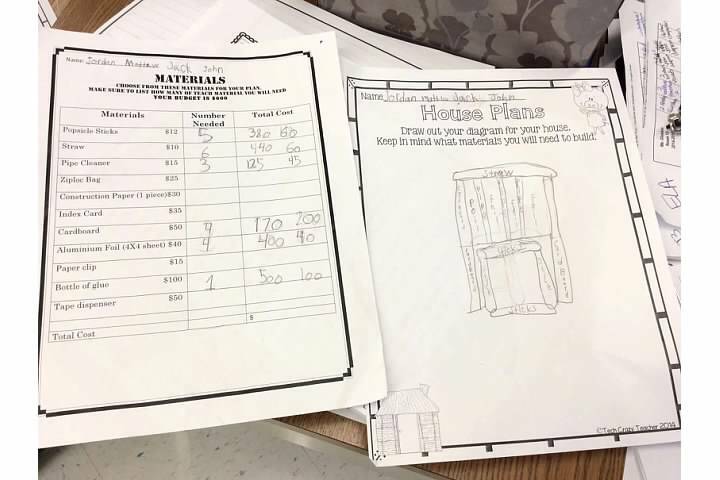 They added up the cost of their materials, being careful not to go over, and drew their design before purchasing materials from me. 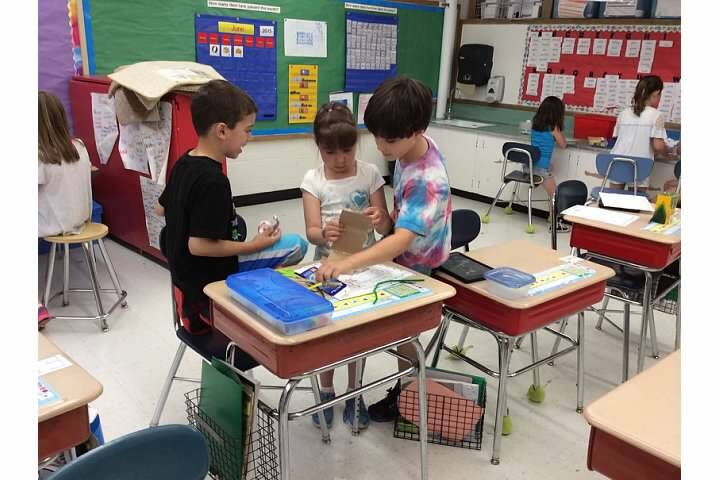 While building, I let them return or trade materials, as long as they had not been used. Once students finished their houses, we tested them using the Big Bad Hairdryer. Students were quite nervous, but cheered when their house survived! Amazingly, none of the houses fell apart! One blew off the table, but that didn’t count! I was going to give them additional money to revise their house, but that turned out to not be needed. We then moved on to the next part of the project. 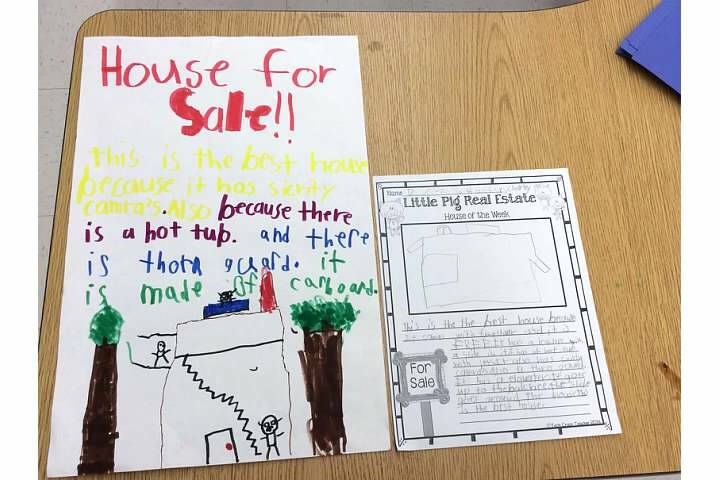 We talked about advertising and how to sell your house. 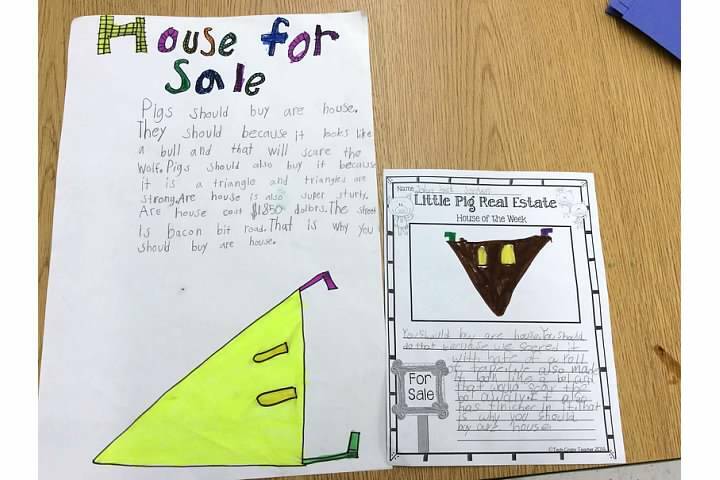 Students needed to create real estate ads and posters why other Pigs should buy their house. 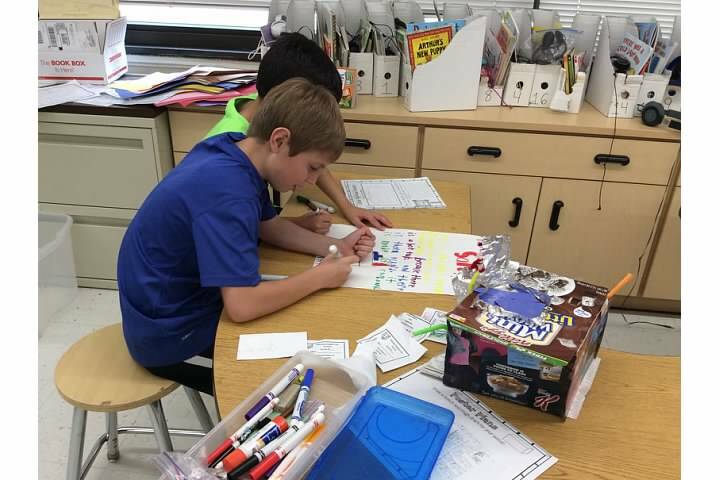 They continued working in their groups to create these. We talked about descriptive and persuasive language to be the best sellers. Finally, students presented their posters. They then chose which house they would buy and one. Phew! This project took the last few weeks of school, but it was definitely worth it. 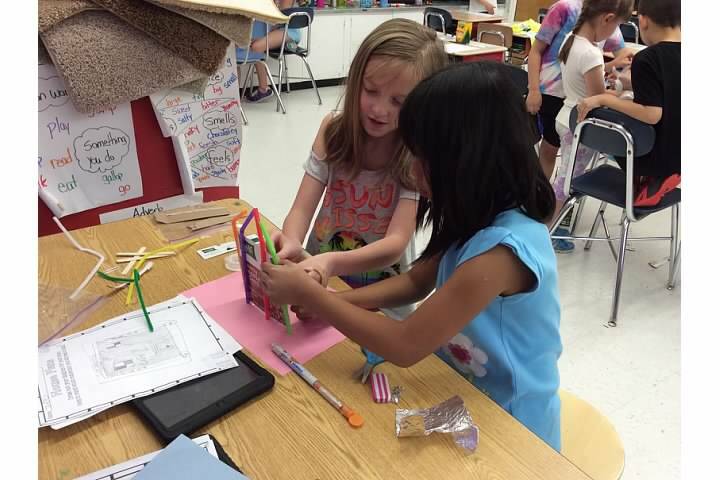 Students were engaged and excited to build. 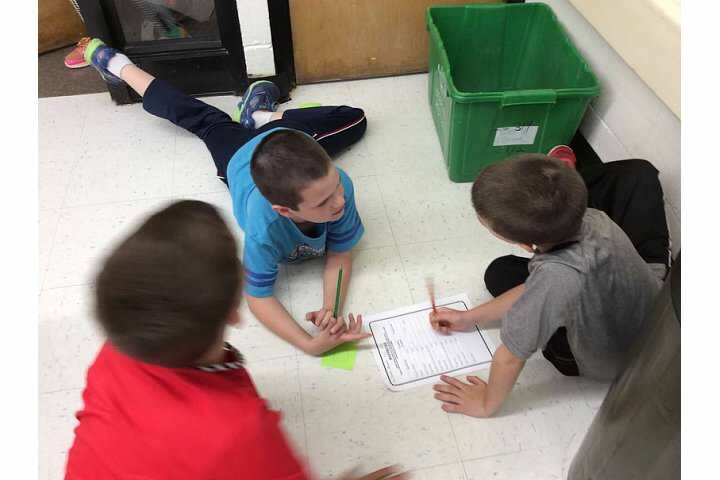 They needed to work together and share ideas in a small group, which wasn’t always easy, and problem solve when things didn’t go as expected or they went over budget. 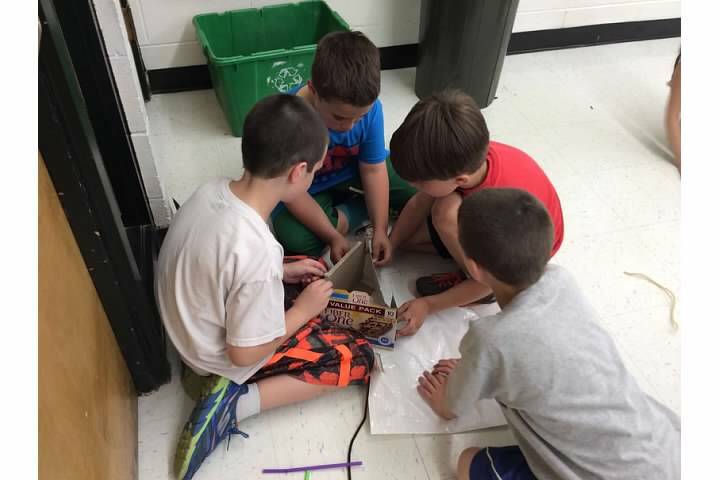 These skills are just as important as the reading, writing, math, and science standards that this project entailed. I’m proud how this project turned out and hope it is something the students remember for a long time.